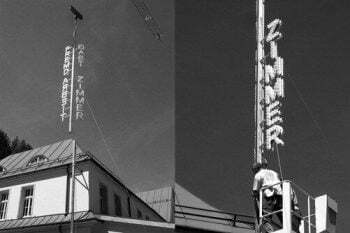 V-Effekte 1 is a light work, installed from 2004 onwards on the roof of the international artist-in-residence program in Nairs, Switzerland. 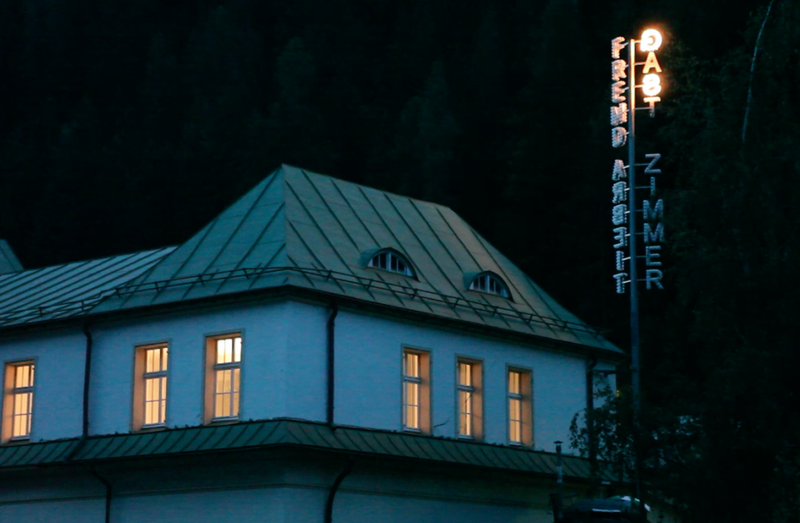 The artist’s house, an old bathhouse situated in the mountain valley beside the river Inn, creates a situation of isolation where invited arts are able to grow and develop their practice. Although the international artists’ residency has been operating for over twenty years, to some of the local mountain villagers the guest artists are still considered as ‘The Strange People from the Valley’. V-Effekte plays with these assumptions by dissecting two German words: Fremdenzimmer (guest room or literally room for strangers) and Gastarbeiter (migrant worker)³ into four pieces (Fremd, Arbeit, Gast, Zimmer). This dissection defines the complex situation of being an invited foreigner, but also artistic worker2. Every night from dusk till dawn the light work illuminates the dark valley of Nairs. 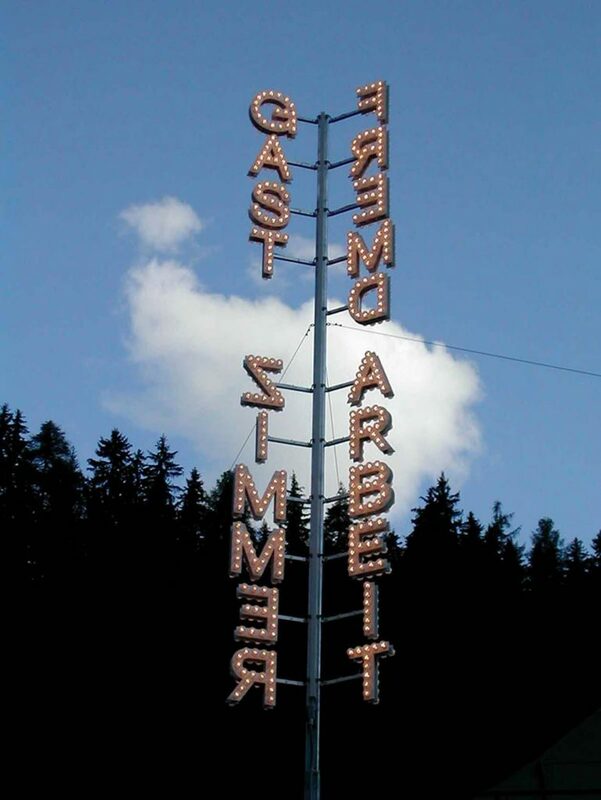 The different letters light up one by one until all words glow in the dark. 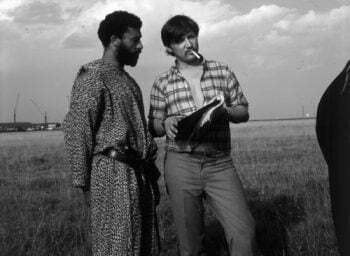 In 2007 Wiersma wrote a text for the Art Magazine Mister Motley on Ali Ben Salem, a character from Fassbinder’s movie: Fear eats Soul, 1974. In the movie this Moroccan protagonist and migrant worker faces discrimination in the city of Münich where he lives. The residents make fun of him and laugh at his ‘broken German’ way of speaking. It is foreigners like him who make moving ‘mistakes’ to the so called ‘correct and fixed’ language’, keeping a language ‘alive’. 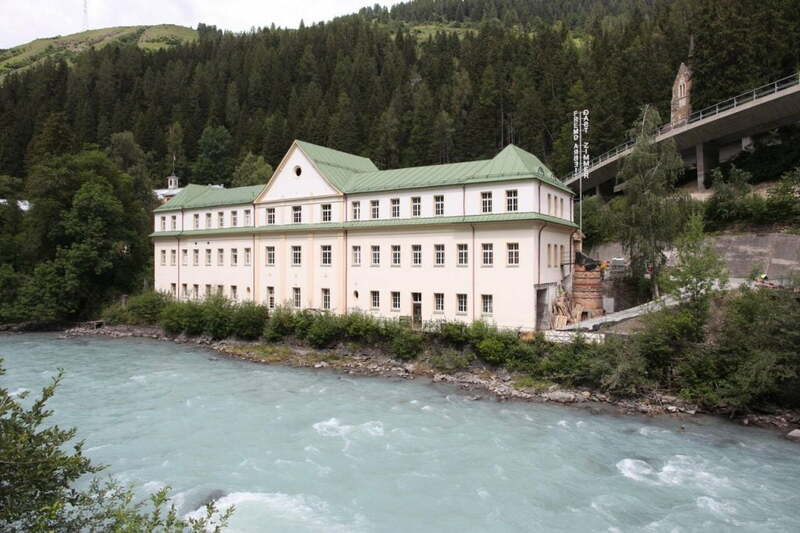 Overview of the residency building, once part of the adjacent Scuol Palace Grand Hotel, Graubunden CH. On the right side of the complex the light piece is permanently installed. Close up view of the light piece. The light piece at dusk.